Maybe I've been reading too many style blogs recently but I am sick to death of 'polar vortex fashion looks' consisting of high heeled ankle boots, no socks, skinny jeans, flimsy coats and meticulously arranged scarves. This is complete nonsense and it makes me furious. When I am about to leave my apartment for work or some unavoidable errand and my weather app shows me this report, you can bet I'm not going to dress to impress. I'm going to dress to survive my 15 minute walk to the subway. I'm going to dress to trudge through unploughed snowy sidewalks and side streets. I'm going to dress to prevent frostbite. 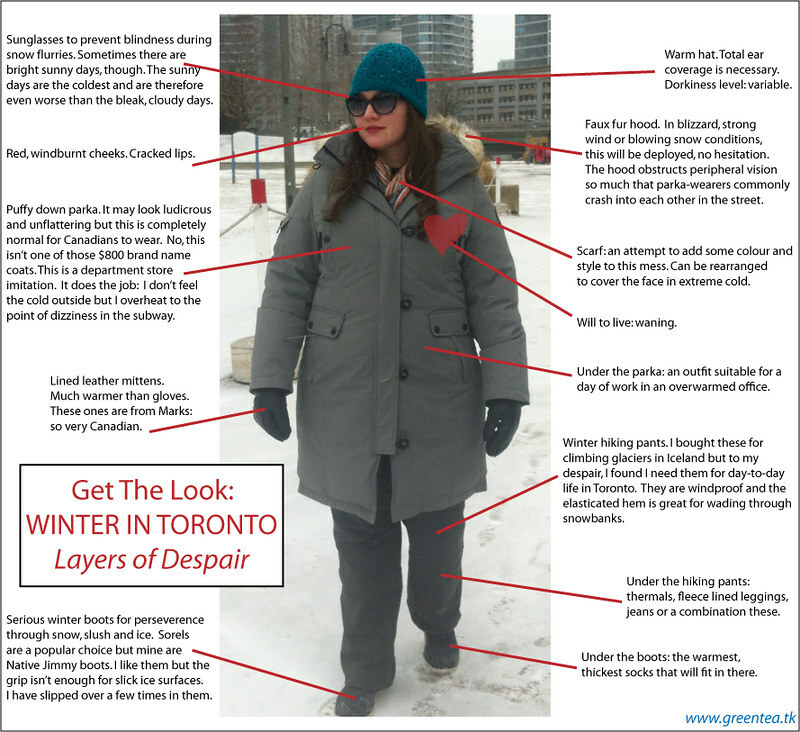 I present to you the awful truth about dressing for winter in Toronto and other similarly cold/even colder places. Maybe if you commute door-to-door by car or you live in a condo connected directly by tunnel to your workplace, you could manage to look elegant. Otherwise, function absolutely trumps fashion around here. Perhaps I look ridiculous in the photo below if you don't live where the winters are severe. I promise you, I never get any strange looks in this outfit. I blend right in with everyone else who is smushed into crammed subway seats wearing giant coats, clomping along the street in massive salt-stained boots, revealing frizzy, static-y hair the moment our touques come off. Welcome to Toronto where this is a completely normal look. UPDATE: It is now February 27th and I have lost the will to layer thermals under my jeans. I now prefer to get cold hives on my legs than make the extra effort for warmth. 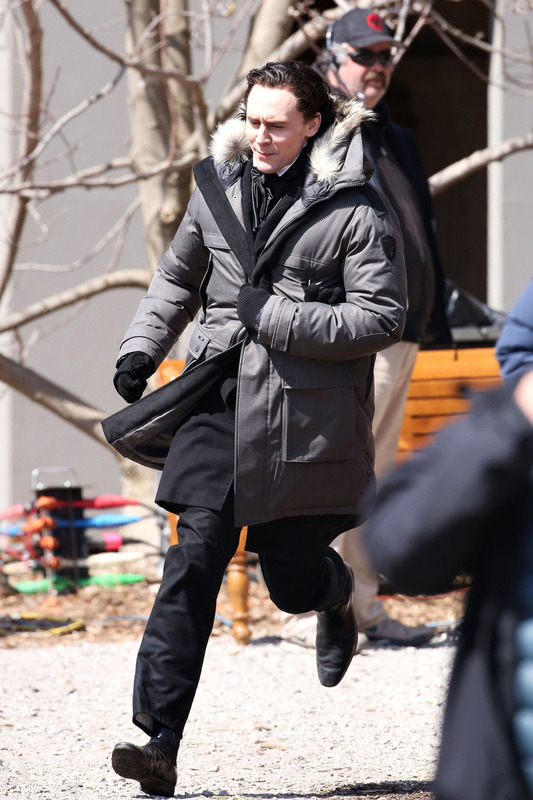 UPDATE 2: Even posh British actor Tom Hiddleston adopted the hooded parka when filming in my corner of Toronto, and that was in APRIL for heaven's sake.